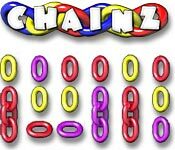 Un-chain your brain with this puzzler. 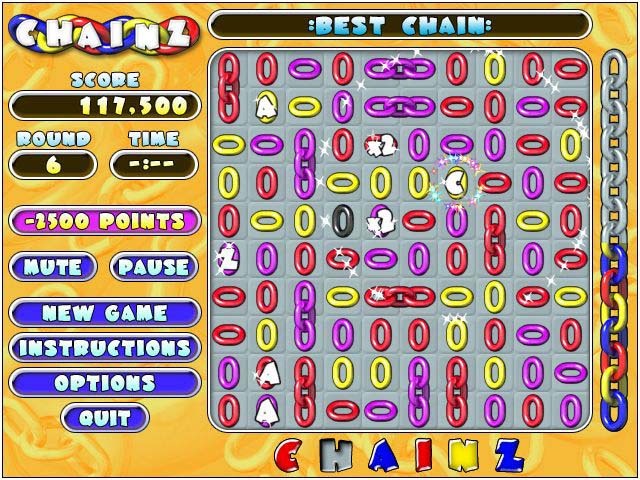 Create valuable chains by rotating colorful links & add bonus links for increased rewards.Un-chain your brain with this puzzler.Un-chain your brain today with Chainz; this challenging puzzle is sure to set you free!Vibrant graphics, playful sound effects, and a lovely soundtrack set the mood for this peppy and unique game. Choose from Normal and Time Attack play modes. 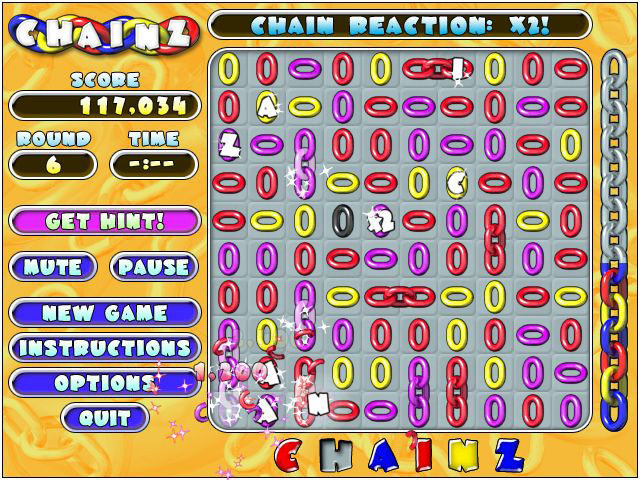 Rotate colorful links to create valuable chains, fashion chain-reactions, and incorporate bonus links for increased rewards. 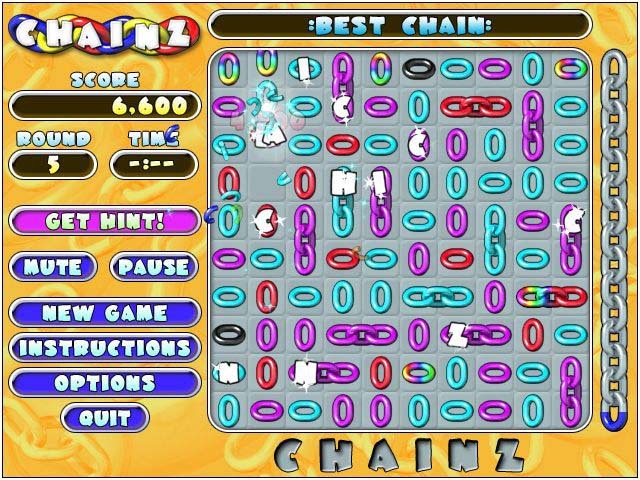 Save your progress for later play.One of the most original and FUN puzzle games around!